Hospices allow seniors that are terminally ill to find comfort and pain relief in the setting of their choice. This can be done in a hospital, at home, or in senior living community. Pittsburgh has a population of 300,000 in the city itself, and roughly 10% of those are seniors.  If you or a senior you know needs hospice care, find the best fit for you from the list below. When someone you love is seriously ill, VITAS improves quality of life. We offer palliative and hospice consults and care. We make care transitions that make sense: From hospital to home. From focusing on the disease to focusing on the patient. From coping on your own to being part of a team. We help patients remain at home in comfort and dignity. LIFE Pittsburgh is an all-inclusive program for individuals 55+ who want to stay in their home, but need supportive services. With the LIFE program, participants have a dedicated team of caring professionals including a doctor, nurse, therapist, and more. Plus, there’s convenient transportation to and from the LIFE center for meals, recreational therapy, and additional services based on each participant's care plan. Bethany Hospice was founded to provide the highest quality of care to its patients. Serving Pittsburgh and the surrounding communities, Bethany has a dedicated team of diverse individuals who are committed to upholding the mission of hospice. Through our history, we have developed principles that guide our work towards fulfilling this mission. Founded in 1881, Concordia is one of the 50 largest nonprofit senior care providers in the country. Between our inpatient locations and home care services, Concordia employs over 2,400 people and serves over 40,000 patients and residents annually.